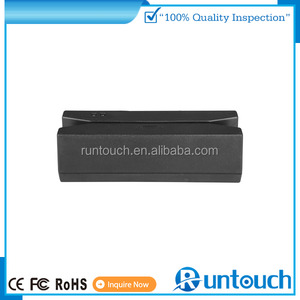 Encrypted type MSR 100 magnetic card reader module The mini magnetic stripe card readr driver msr encode MSR100 software is an intelligent, programmable MagStripe reader providing a wide range of and value in a convenient package size. 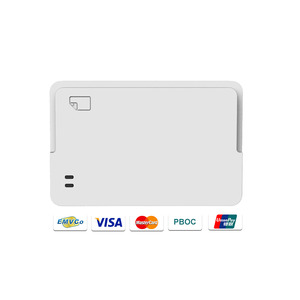 It has a beeper, and three different interface The mini magnetic stripe card reader driver is programmable so that the data format and intelligent interface output can be programmed & configured to match application and communication requirements. 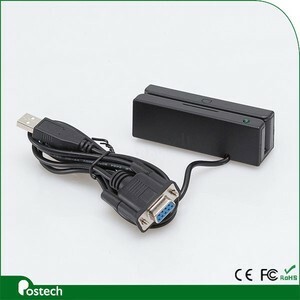 Fetures With indication of light Low power consumption, good compatibility ISO 7811/12/13/14 Easy Programmable RS232/PS2/USB Cards can be swiped and read in both directions. HCC4777 MSRE performs reliable and accurate, has a beautiful and firm cover of zinc alloy. 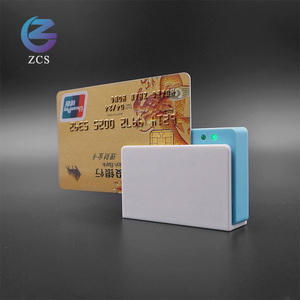 Adopted multi-CPU system and intelligent encode/decode technology, guarantee the quality of encoding and the sensitivity of decoding, solved the compatibility of magnetic cards. High reliability and precision of encoding synchronizer, long endurance of Fe-Si-Al read/write heads, guarantee the high success rate of access and long lives of the equipments. Card data can be encrypted using either AES or DES/TDES algorithms . 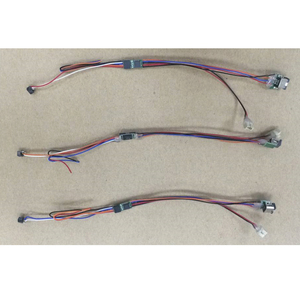 Security is further enhanced with the inclusion of fast-wipe nonvolatile SRAM (NV SRAM), a hardware random number generator (RNG), voltage attack sensors , and a self- destruct input pin . The NV SRAM clears its contents when a tamper is detected by the on chip tamper detection circuitry.